We deliver our milk to doorsteps in our own village and the surrounding area, via our trusted and experienced rounds-men. 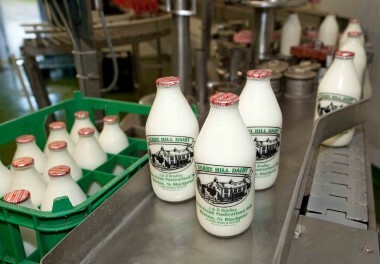 We also supply daily deliveries of milk and associated goods to many hotels, cafes, businesses and shops in Blackpool and the Fylde area. Our expertise and willingness to embrace new ventures has lead us to being the only dairy in the country to produce kosher flavoured milk for the Jewish communities in Manchester and London.